My last post about Vintage scuba equipment was about an old Suunto dive computer model, the SM1 and a Solution. When writing that post, I remembered having had an older Suunto computer myself and it turned out to be an EON. This Suunto EON is an air integrated computer and the console is designed to give both cylinder pressure and decompression-related information. They can track multi-level air dives but are not Nitrox-capable. I purchased my copy around 1995 and it's no wonder that this computer model is no longer in production. Unfortunately I managed to drown my computer when changing a battery too many. With the older style computers by Suunto one big draw back I always found that for changing the batteries the computer had to be sent away to an authorized dealer, so they could do this for you, which in Thailand could be quite an essential amount of time. 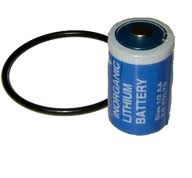 I changed my own battery frequently but one time the seal wasn't 100% in place and that was the end of my model. My EON made me very happy, one of the main things it did was due it's air integration, it taught me how to manage my air consumption better! I will never forget that! My Suunto family is soon to grow by the addition of a metallic braced D6i, courtesy of Suunto itself. I'll keep you posted for more updates on my newest addition to the family soon and here's a small piece on my Zoop.